A posture and balance tracking wearable walked away with the big prize at Microsoft's annual competition that gives students from across the world the opportunity to get creative with tech. 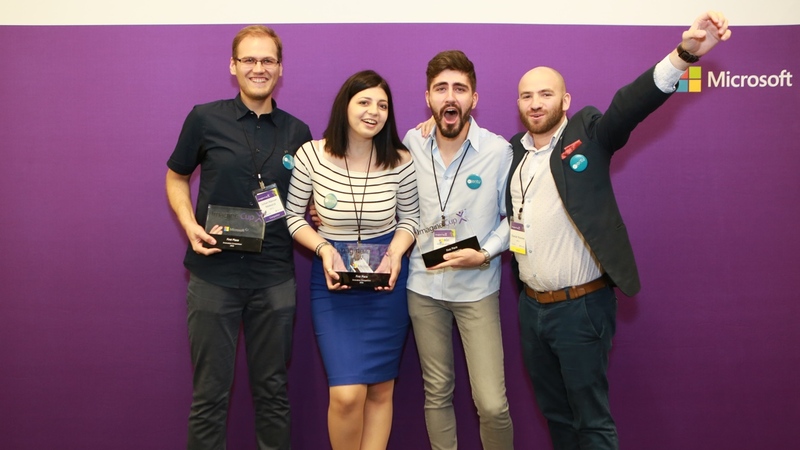 ENTy, which includes students from the Polytechnic University in Bucharest, Romania, were crowned 2016 Imagine Cup world champions in the innovation category for the tracker that aims to to help doctors find inner ear problems and checks spine posture in patients. Roughly the size of a door key, ENTy is worn on the user's back or head and is packed with an accelerometer, magnetometer and a gyroscope. Combined with the team's software algorithm, the device is able to tell you if you have good balance or problems with posture in real time. While it's still in beta form, It's apparently already been tested with doctors on 500 patients. ENTy beat a team from Sri Lanka who developed an affordable digital signage platform and a team from the US who came up with a solution to help doctors and patients diagnose amblyopia. As well as winning $50,000, the team will also receive a personal mentoring session from Microsoft CEO Satya Nadella. Posture trackers are of course not new to the wearable world. We've already seen the likes of the Lumo Lift and the neckband-style Alex posture tracker that aim to help train your body into sitting properly. There's no details on whether ENTy will have a future as a consumer device, although we would be very surprised if this is the end of the story for the tracker.